The UK Civil Aviation Authority (CAA) has permitted the extended range operations accreditation (ETOPS 180) clearance to the Royal Air Force’s (RAF) A330 Voyager future strategic tanker aircraft (FSTA) fleet. Awarded following the implementation and successful review of enhanced procedures in the maintenance and flight crew operations, the approval provides the civil-registered aircraft with greater flexibility and efficiency during long distance flights, including those across to North America. The flight crews have received additional training in the classroom and simulator, in addition to a check onboard the Voyager. AirTanker Services flight operations director Iain Cullen said the approval confirmed the aircraft’s ability to offer the same high-level of safety to crew and passengers in a three-hour flight as it would provide during a one-hour journey. "It also means shorter flight times as we will be able to take more direct routes and reduce fuel consumption, saving money for the UK MOD," Cullen said. "It means shorter flight times as we will be able to take more direct routes and reduce fuel consumption, saving money for the UK MoD." The RAF expect to gain ETOPS clearance in accordance with the military aviation authority in late 2013. Having signed a 27-year, £10.5bn private finance initiative contract with the UK Ministry of Defence (MoD) in March 2008 for the delivery of 14 Voyagers, AirTanker has so far handed over four aircraft to the RAF. A derivative of Airbus Military’s A330 multi-role tanker transport (MRTT), Voyager is designed to replace the RAF’s existing L-1011 and VC10 tanker/transport aircraft, which are approaching the end of their service life, for air transport and tanker operations. Primarily operated by the service’s 10 Squadron, the twin Rolls-Royce Trent 772B jet engine-powered aircraft is also flown by AirTanker Services as a certified civilian aircraft for charter flights, when not in military use. 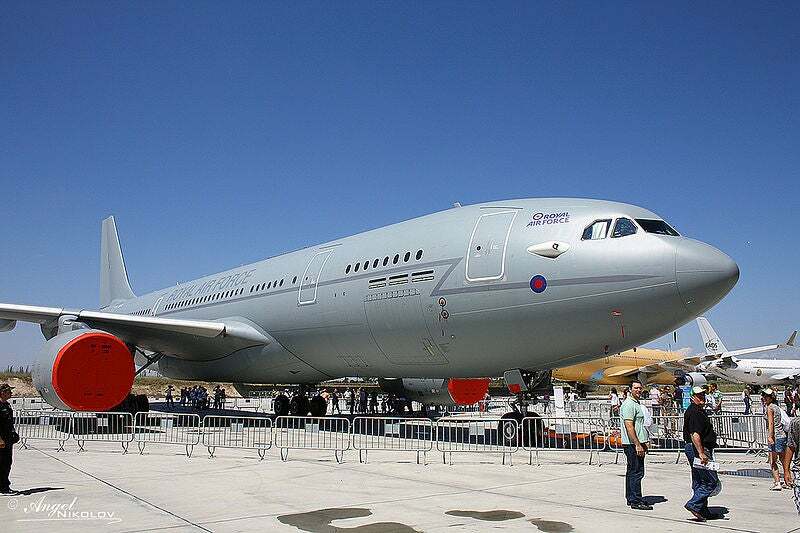 Image: A Royal Air Force’s Airbus A330 Voyager aircraft stationed at Airbus facility in Getafe, Spain. Photo: courtesy of Angel Nikolov.